(Queens, NY – May 20, 2015) The New York City Health and Hospitals Corporation (HHC) today celebrated three Queens physicians during a ceremony marking Doctors’ Day 2015. A total of 24 Physicians from HHC’s hospitals, community clinics, home health services, and MetroPlus Health Plan were recognized for their leadership and commitment to advancing the mission of the public hospital system and providing the highest quality healthcare to New Yorkers. The physicians honored today also represent HHC’s diverse workforce and ability to provide culturally competent care with the knowledge and sensitivity needed to serve our patients. The awards were presented at HHC’s annual National Doctors’ Day Ceremony, held at Baruch College in Manhattan. 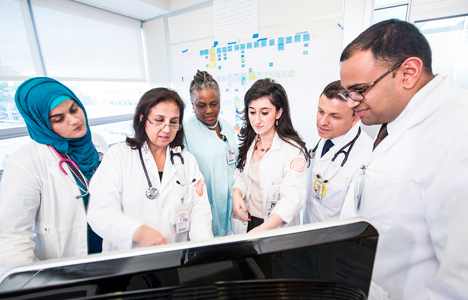 The award-winning physicians represent New York City residents’ diverse ethnicity, and vary in age, education, specialties and years of service.